SILENT SIREN made their major-label debut in November 2012 with the single “Sweet Pop!”. All 4 members have a background as amateur fashion models in Japan. The group’s popularity grew among teenagers in Harajuku, and their official LINE account has over 530,000 subscribers. Band leader and drummer Hinanchu is a host on the Indonesian show “WAKUWAKU JAPAN,” where she introduces J-POP to Indonesian viewers speaking in the Indonesian language, and is also known for her appearances in the rhythm sense battle on the TV show “Kanjani no Shiwake ∞”. Keyboard player Yukarun is also known for her appearances on the same show, where she entered the “flexibility queen contest”. Bass player Ainyan creates her own illustrations for the band merchandise, known for the character “Sai Sai-kun” that is loved by fans. She is also extremely skilled in drawing caricatures. Vocalist and guitarist Suu writes music and lyrics, and writes many of SILENT SIREN’s lyrics for their songs. Since the single “Bii-san” was released in 2013, the band has continued to place in the top 10 for 15 consecutive record releases (including singles and albums) on the Oricon Weekly Chart. In 2014, the band traveled overseas for the first time, holding a solo concert in Hong Kong and taking their first big step to spreading their activities throughout Asia. Later, in 2015, SILENT SIREN also held solo concerts in Taiwan and Indonesia, winning over fans outside of Japan. In 2016, they held a world tour in which they traveled to multiple cities in Asia and the United States. They have also actively participated in major domestic music festivals in Japan, including “ROCK IN JAPAN FESTIVAL,” “SUMMER SONIC,” “COUNTDOWN JAPAN,” and many other famous events. They changed girls’ band history by performing a solo concert at Nippon Budokan on January 17th, 2015, the fastest girls’ band to accomplish the feat after a major-label debut. The SILENT SIREN Budokan concert sold out, with 9000 fans flooding the hall with pink, the band’s signature color. At the December 30, 2016, concert “2016 End of the Year Special Concert Dream on!” held at Tokyo Metropolitan Gymnasium, SILENT SIREN announced that they were changing their label to Universal Music EMI Records. They also announced that they would launch a “5th ANNIVERSARY SILENT SIREN LIVE TOUR 2017 ‘New World’”, their largest scale national tour. 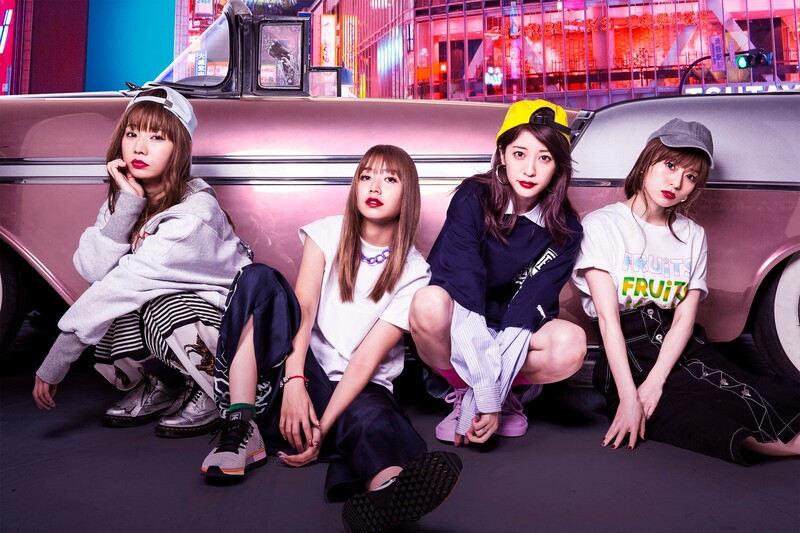 To celebrate their 5th anniversary year, the band also announced changing the official spelling of their name to SILENT SIREN (all caps) in English, and the release of “Fujiyama Disco,” their first single on their new label. The 2-day “New World” tour finale at Nippon Budokan was held on November 13 and 14, 2017, another first feat for SILENT SIREN. On December 27th, the album GIRLS POWER, their first album since their label transfer, will be released.